The aim of the bill is to check whether shipping companies and their crews are engaging in unsafe and irresponsible actions at sea, particularly near environmentally sensitive marine ecosystems. The Australian Government introduced changes to the Navigation Act and Protection of the Seas Act, which have been passed by Parliament, and the new levy is expected to provide greater protection to areas such as the World Heritage-listed Great Barrier Reef. 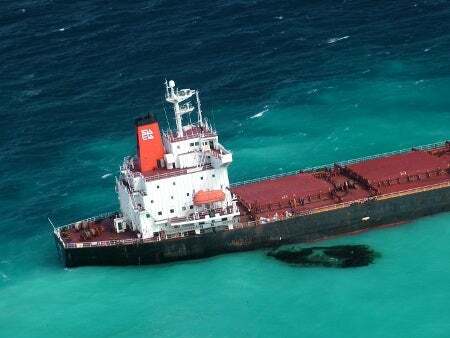 The change in law has been brought about after the Chinese bulk carrier Shen Neng 1 ran aground off Great Keppel Island, Australia, spilling about 3t of oil into Great Barrier Reef waters. In addition to the harsher penalties, the shipping companies will also have to contribute to cleanup costs. The new legislation said that, while large incidents are rare, the potential impact of a spill would be significant, not only for the environment but also for the tourism and fishing industries. Over the last ten years around 250 shipping incidents a year have occurred in Australian waters and tougher penalties were required, it claimed. The Minister for Infrastructure, Transport, Regional Development and Local Government of Australia Anthony Albanese said it is important that the country should have strong safety regulations and penalties to ensure that shipping companies don’t ignore their responsibilities. "Harsher penalties for spills will encourage better practices for navigation and vessel operations in Australia," Albanese said. In addition, the Australian Government has introduced a new law to protect shipping crews working on commercial ships in Australian waters. Australia is the 19th country to have ratified the laws to comply with a Maritime Labour Convention (MLC) set by the International Labour Organization. The convention sets minimum requirements for: seafarers to work on a ship; conditions of employment; accommodation, recreational facilities and food and catering; health protection, medical care, welfare and social security; and compliance and enforcement. The new laws are expected to ensure that good working conditions are maintained on Australian ships and that the seafarers working on all other ships have the same conditions as those that enter Australian ports.